Villa Gold is a superb, contemporary holiday villa located in a secure residential neighborhood in Saint-François, Guadeloupe. With floor space of 170 sq.m and recently built, the rental can accommodate up to six people. This one-story home provides spacious living areas and its peaceful surroundings make for a calm and restful holiday. The perfect balance of calm and contemporary living, this villa offers great price value and is one of our favourites! Your holiday rental in Guadeloupe has two double air conditioned bedrooms with their own bathroom with a WC and walk-in shower, one bedroom with two twin beds and a third separate bathroom with a walk-in shower and WC. A beautiful, modern kitchen is fully fitted with an American-style fridge, microwave oven, dishwasher, espresso machine, coffee maker, electric kettle and toaster. The kitchen opens on to a tastefully decorated indoor living room. The living room and the kitchen can be accessed from the covered terrace which surrounds the infinity pool. The pool area is equipped with furniture which invites you to relax—lawn chairs, hanging egg chairs, lounge chairs. During the hottest hours of the day, you'll be sure to enjoy the lounge area for cocktails while the lobsters are grilling on the barbecue. With a large L-shaped sofa and a bar with a refrigerator and stools, this area is the best part of this holiday rental. This luxury villa is ideally located, only a short car ride away from the golf course and marina of Saint-François, making it possible to take a boat ride to discover ile de Petite-Terre and its natural reserve. At the heart of the countryside and lush vegetation, this villa will provide you the ideal setting for a restful holiday in Guadeloupe. The Pointe des Châteaux and its superb Salines beach, the hidden natural secrets of Grande-Terre, Porte d'Enfer in Moule, Porte D'Enfer of Anse Bertrand and Pointe de la Vigie are close to your holiday villa. For practical matters, you'll find all the conveniences—a supermarket, shops, a tourism office, marina, golf course, etc.— only a five-minute car ride away. La villa est superbe, tres fonctionnelle et bien décorée. Il n y a pas de vis à vis, elle est dans un quartier residentiel au calme. De plus, Elle n'est pas tres loin des supermarchés et autres... il y a une tres belle piscine avec un super coin salon extérieur. Rien à redire juste à recommander! 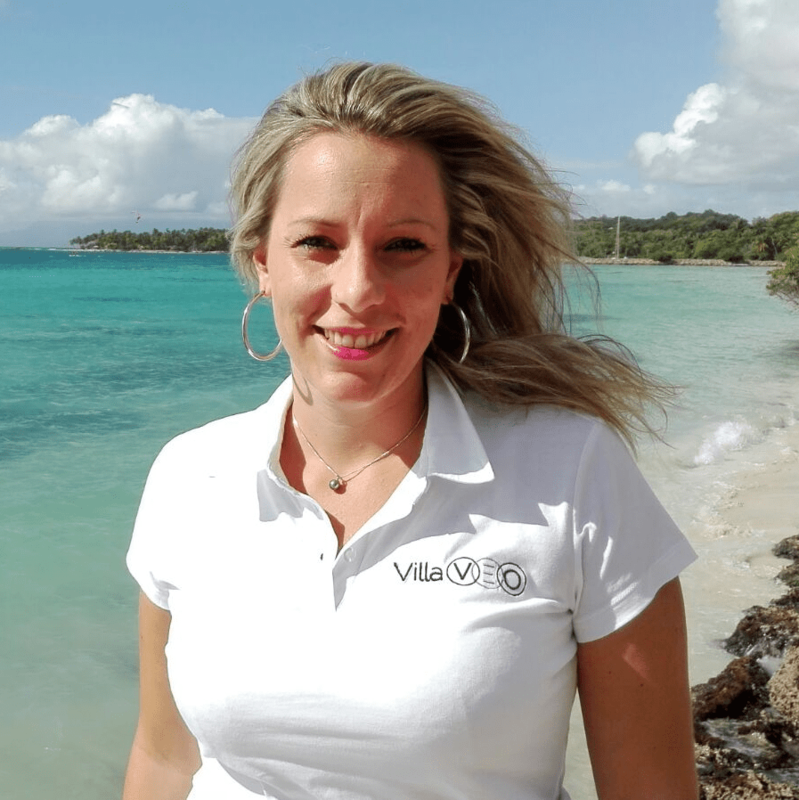 Un grand merci d'avoir pris le temp de déposer un avis sur la villa Gold, location de villa en Guadeloupe. Nous sommes ravis que vous ayez passé un bon séjour. Au plaisir de vous accueillir à nouveau ! Cette villa est très agréable . La décoration est très soignée et très jolie. L'équipement est de qualité et fonctionnel. Le quartier est calme et sécurisé. Saint-François est une ville animée et bien située pour visiter les sites les plus connus de la Grande Terre. Nous avons également appréciée l'accueil chaleureux du propriétaire. For your next vacation in Guadeloupe, we recommend you to have a look on villas and/or apartments located close to Villa Gold. Our selection is based on your search criteria: destination and vacation rental capacity. We are sure that we will find what you are looking for!